On 9th April 2018, 73-year-old psychiatrist and therapist Giovanni Liotti passed away. 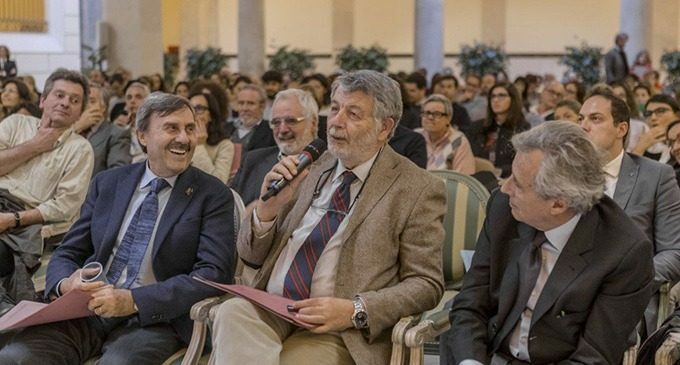 He founded the Società Italiana di Terapia Comportamentale Cognitiva (SITCC – Italian Society of Behavioural-Cognitive Therapy) with Vittorio Guidano on 30th December 1972; at the beginning it was called Società Italiana della terapia del comportamento. He was also a founder member of the Association for the Research on Psychopathology of Attachment and Development. Messaggio pubblicitario Giovanni Liotti, called Gianni, was a master for many of us, a father, a friend, a supervisor and a teacher. His attention to the relationship between the cognitive approach, the research on emotions and the mental disorders treatments is visible right from his first works with Guidano (Cognitive processes and emotional disorders: a structural approach to psychotherapy, Guilford 1983). A book that is the result of the cooperation of the fathers of Italian Cognitive Therapy, who later went on exploring different trajectories. Liotti continued his studies on an evolutionist perspective, that is how primary affective figures create mental representations complex, by studying the theory of attachment and other motivational systems which rule interpersonal relationships. He was a meticulous and interested in different aspects, he made cognitivism roots get closer to other disciplines: ethology, evolutionist psychopathology and neurosciences. In psychopathology his work about dissociative disorders and the importance of traumatic relationships, starting from that of disorganized attachment between mother and child, became a classic. In treatment he dealt with the problem of therapeutic alliance, starting from the ability of both therapist and patient to activate and understand different motivational systems, being also able to create a task group of colleagues to assess them during a therapy (AIMIT), whose results were published in researches and books. 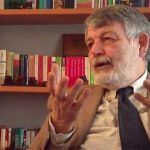 He taught in Italian and foreign universities, but above all he trained many therapists, helping some to become his co-workers and write articles, books, essays and conduct empirical researches with him. Gianni was President of our Society (from 2000 to 2006) and most important he was also able to say the right word, advise and suggest a book to everyone. Last but not least he was a man who had lived his family, happiness and pain, and the recent disease with great humanity and ability to be close and comforting to others as much as possible. We are crying for his loss and will try being worthy of what he left behind both under a human and cultural aspect. Image: © SIPNEI Società Italiana Psico Neuro Endocrino Immunologia. Guidano, V. F., & Liotti, G. (1983). Cognitive Processes and Emotional Disorders: A Structural Approach to Psychotherapy. New York, NY: Guilford Press. Liotti, G. (2001). Le opere della coscienza. Milano: Raffaello Cortina editore. Liotti, G., & Farina, B. (2011). Sviluppi traumatici. Milano: Raffaello Cortina editore. Liotti, G., & Monticelli, F. (2014). Teoria e clinica dell’alleanza terapeutica. Una prospettiva cognitivo-evoluzionista. Milano: Raffaello Cortina editore. Liotti, G., Fassone G., Monticelli F. (2017) L’evoluzione delle emozioni e dei sistemi motivazionali. Teoria, Ricerca, Clinica. Milano, Raffaello Cortina editore.